I’ve called this King carrot cake, not only because it’s absolutely massive, but because it features my Autumn King carrots – but really any type of carrot will do. The Philadelphia icing is absolutely devine also. 1. First off, preheat the oven to 160C/325F/Gas 3. Grease and prepare a cake tin that’s over 26cm/10in square. Go large or go home people. I tend olive oil works better with keeping cakes moist better than sunflower or vegetable oil. 2. Mix together the olive oil, plain flour, bicarbonate of soda, caster sugar and ground cinnamon. Slow incorporate the beaten eggs into the mix. 3. Blitz your carrots in a food processor and stir the carrots into the batter. 4. Pour the cake batter into the tin and bake for 1.5 hour. If you insert a skewer into the middle of the cake and it comes out clean, it should be done. Remove from the oven and let cool. 1. In a bowl mix together Philadelphia cream cheese, caster sugar, salted butter and lemon juice into a bowl and mix together until light and creamy. 2. Spread over the top of your carrot cake. 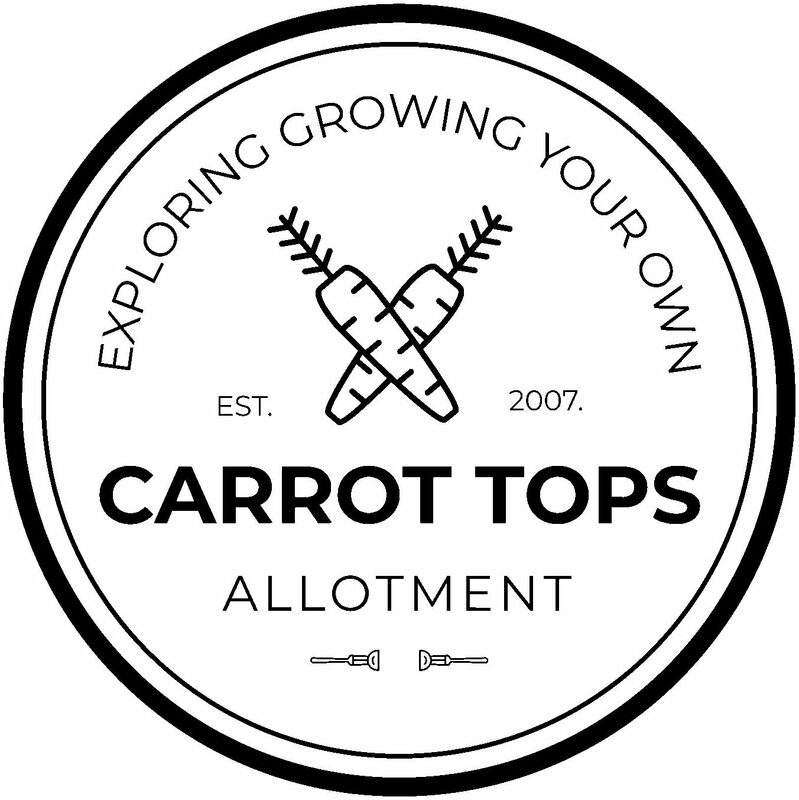 You may have read here that I’m in the process of getting rid of some old seeds in the back of the shed and the second type of carrot is called Daucus carota ‘Karnavit’ Carrots. Find information on this variety of carrot is something that I’ve struggled to achieve, in term of it’s origin and history. When I typed ‘Daucus carota ‘Karnavit’ Carrots’ into the RHS, this is what I found. All I’ve found out about this type of carrot is that the term Daucus carota means that it’s a wild variety and that Daucus carota Karnavit Carrots are an F1 Hybrid, created by the breeders at ISP International Seeds Processing GmbH based in Germany. But please, if you have any other information on Karnavit Carrots, please do let me know! According to the chaps at Kew – “Wild carrot has delicate white flower heads and a thin, wiry taproot bearing little resemblance to the fleshy, bright orange root vegetable produced commercially.” It should be interesting to see how these turn out and I’m hoping this could make a great addition to a salad as a garnish. It certainly sounds different to the Autumn King variety I’m growing as well. It’s a little bit different to what the image packet suggest too! This particular packet of seeds was brought from the local pound shop, and as much as I love the pound shop finding information on the varieties they sell there can be a real nightmare. None the less, it must have only cost me a pound, so you get what you pay for. Click here to read more about F1 Hybrids – but in short, F1 Hybrids are the result of crossing two inbred lines of seed so that you can improve yield, vigour and other properties. I made sure that the bed was dug and weeded and relatively free of any stones or anything that would cause the carrots to fork and dug drills of around half an inch deep and about a foot apart. I sowed the seeds into the drills and covered excess soil. Germination is expected within 15 to 20 days. What a week it’s been weather wise, starting off with highs of up 18 degrees, only to be blown away toward the tail end of the week by storm Doris. To date, I’ve not managed to sow much into the ground or into pots this, but that’s because it’s been a bit too chilly. I’ve managed to make up for my lack of sowing this weekend by sowing spring onions, three types of carrots, two types of cucumbers, broccoli, cauliflower and broad beans. On top of the seeds that I’ve purchased especially for my victory garden, I’ve got stacks of half full packets of seeds in the back of the shed that I’m going to be growing – waste not! Some of the seeds might not even germinate if they’re old or past their use by date, but I figure, what have I got to lose? Nothing really. Among the packets of seeds is Autumn King Carrots – a well known, grown and reliable variety. Autumn King holds and RHS Garden Merit Award, meaning that these plants will perform well under UK conditions. I’m hoping to harvest these carrots from late summer onward, but I’ve been reassured that these can also be left in the ground over winter without the risk of them swelling or splitting in the cold, frosty conditions. Sowing Autumn King Carrots is dead easy and as a general rule of thumb, they tend to dislike freshly fertilized beds, so I haven’t dug in any material from the compost bin. I first weeded and dug over the bed and created drills of around half an inch deep and about a foot apart. I pinched the seeds into the drills and covered with the excess soil. If you’ve been following my blog over the last 5 months you’d have seen that I’ve been quite prolific in my sowing. However, not all have been successful – prompting me to sow more in a few weeks time. I’ve gone with Early Nantes 5, and I remember sowing quite a thick stream seeds into the ground, however, sadly not all of them have come through as I’d hoped. I suspect soil crusting maybe at fault here. Soil crusting is when a thin layer of rugged and thick soil emerges on top of the bed. This makes the bed compacted and harder for carrots to poke through. It’s also one of those bed conditions whereby the bed looks smooth and soft, but is actually quite hard. Too much rain can cause crusting, as the droplets will eventually push down on the bed. I think this has also had an effect on my parsnips. Sadly, I’ve only got two Savoy King Cabbages to my name – and I checked the packet and it’s out of date. Out of date seeds don’t necessarily mean they won’t germinate, but it does mean that the success rate is cut significantly. There’s certainly no harm in sowing out of date seeds – just remember that they may not germinate. There’s nothing worse than waiting for seeds to germinate, only to find that nothing happens and you realise that you should have checked the seed packet – lesson learned. Too Dry: Water is crucial for germination. Preventing you soil drying out will help maintain a soil moisture. Too Hot: High temperatures result in soil drying out which can injure seeds and seedlings. Too Cold: Cold temperatures can kill seedlings and prevent germination. A frost can wipe out any seedlings that poke through. Planting Seedlings Too Deep: Seeds may not be able to grow enough to reach the surface on the limited food storage from inside of the seed. Soil Too Firm: Seedlings need oxygen to germinate and a soil that is too firm will reduce oxygen from getting to your seed. Soil that is too firm will also have an impact on drainage. Sowing carrots (Early Nantes 5) is easy, although, that’s not to say that I haven’t had my seasons of heartbreak when I dig up misshapen and stumpy carrots. I’m sowing Early Nantes 5 – a very reliable, good ‘finger’ variety of carrot and I’m hoping to see some progress within 14 to 20 days – providing the frost doesn’t kill off any seedlings that poke through. Believe it or not, Nantes carrots date back as far as the 18th century and we have the French to thank for the modern variety of carrot that we see today. Specifically, Louis de Vilmorin, who published “The Vegetable Garden” in 1858, pioneered the breeding of different varieties and first came up with the Early Half-long Scarlet Nantes Carrot. Since then, various hybrids have been produced to suit different conditions and climates. As a result, there are around 40 different carrot types that fall under the Nantes name. I first dug over and weeded the bed where I wanted to sow the carrots and tried my best to throw aside any large stones or anything that could get in the way of growth. I then set out a string line and created drills that were around 1.5cm deep. I made sure that the rows were 30cm apart. I then covered the seedlings and gave them a water. I created five drills, so that I can use for carrots and two for some spring onions. Sowing onions in with the carrots will reduce the risk of pests and carrot fly. Because there is a risk of frost, I’ll probably have to purchase some cloche to keep the seedlings protected from the cold conditions.